I have had the pleasure of knowing Heather Zoppetti for a several years now, and am pleased to be reviewing her new book, Unexpected Cables. 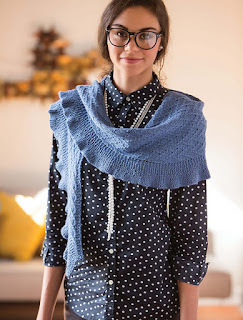 "When many people think of cable knitting, the first images that come to mind are big, boxy fisherman sweataers. This is exactly NOT what you will find in Unexpected Cables," explains Heather. 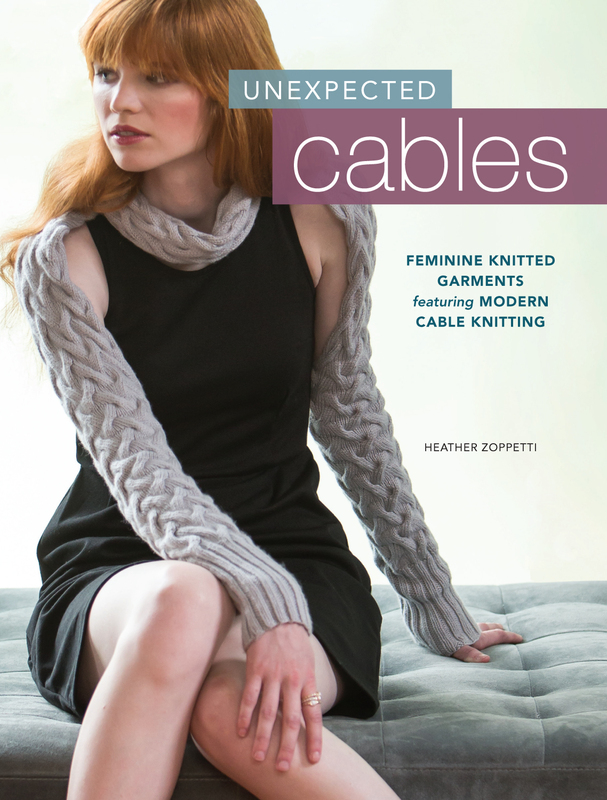 "The goal of this book is to update the cable from heirloom to modern in unexpected ways. 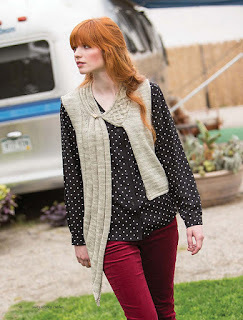 By using sleeker garment shapes, mixing cables with lace, and constructing garments and accessories in abstract ways, I hope to motivate the knitter to explore cable knitting in unexpected ways." 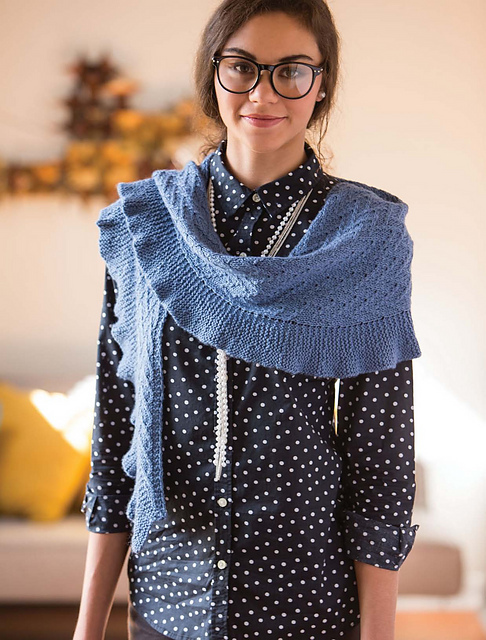 Unexpected Cables is perfect for the modern knitter who wishes to explore the subtleties of cable knitting without the cliche of oversized pullovers. Fine lines, subtle textures, and tailorly details are the main ingredients of this sophisticated collection. 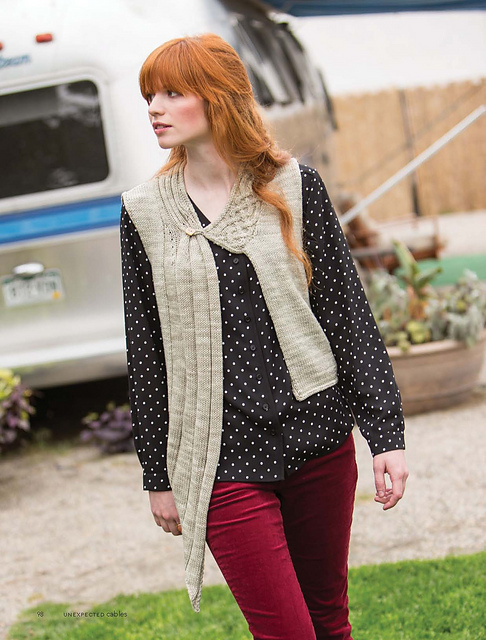 A variety of patterns, including garments, shawls, accessories and socks are worked in wool, cashmere, silk and alpaca blends. 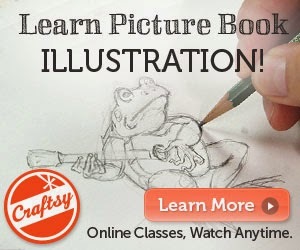 What I especially enjoy about this book is that while each pattern is aesthetically beautiful, each pattern also offers up a creative technical stitch as well. I am having a hard time deciding what to cast on first! A copy of this book was kindly provided to me by F+W media.